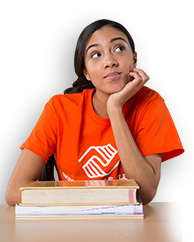 The SunTrust Foundation and Boys & Girls Clubs of America forged a $1 million, three-year partnership in the fall of 2018 to help support Boys & Girls Clubs of America’s Workforce Development Effectiveness Project. The project will equip Clubs with the tools, resources and competencies necessary to enhance and sustain workforce effectiveness programs at their Clubs. Having strong workforce development in place will not only help guide youth to develop 21st-century skills but also help them develop a clear vision of their future career goals and put them on a path toward financial confidence. 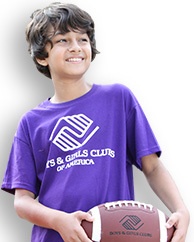 Each year, a cohort of Boys & Girls Clubs will self-assess current workforce programming and receive ongoing training and support from Boys & Girls Clubs of America, as they develop and execute on action plans that will position the local Club as an effective workforce readiness option for youth in the community. Club teens will also have the foundation they need to explore various career opportunities and develop their workforce skills. Thanks to the SunTrust Foundation’s support, over the next three years, nearly 45 Clubs will have a workforce development plan in place. In 2019, 12 Clubs in Georgia, Florida, South Carolina and Tennessee will kick off the program. The SunTrust Foundation is dedicated to SunTrust Bank’s (NYSE: STI) purpose of Lighting the Way to Financial Well-Being by engaging organizations to advance financial confidence. Grants and activities focus primarily on financial empowerment, but also include education, health and human services, civic improvement and cultural growth. The SunTrust Foundation supports American Red Cross disaster relief efforts and contributes as a United Way Global Corporate Leader. 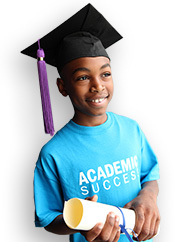 Established in 2008, the SunTrust Foundation has proudly provided grants totaling more than $160 million throughout the United States.